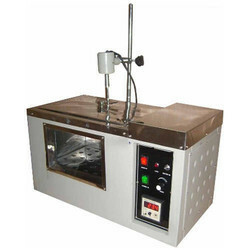 Leading Manufacturer of high precision water bath and industrial oil bath from Delhi. Double walled with inside made of heavy S.S. and outside of M.S. sheet duly power coated. the gap between the two walls if fitted with high grade wool to minimize thermal loss. Temperature range from ambient to 250c +- 2c. is controlled by digital temperature control. 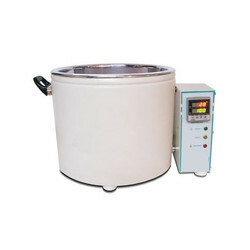 A variable speed stirring arrangement is fitted to the until for maintaining uniform temperature. Looking for Industrial Bath ?